During the training program, au pairs learn from a variety of media and sources. Everyone watches training videos, lectures, and completes the training manuals. But most importantly, the au pairs must actively engage in hands-on practice with training mannequins and each other. In addition, au pairs are tested throughout the day to make sure they are understanding the information provided. The au pairs are provided with booklets that allow them to follow along with the videos and slide shows. These also act as a point of reference for whenever they find themselves confronted with a safety issue. 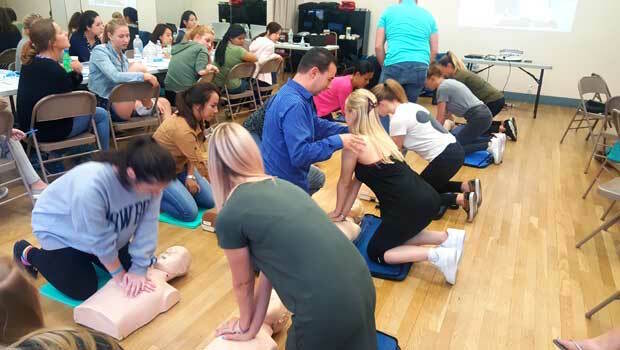 In one of the recent trainings, I participated alongside the au pairs to get a feel for what it was like to learn the skills needed to become CPR certified. I can assure you, this was not an easy day! I commend all of our au pairs for staying focused and working hard to complete the training. This day made me appreciate the time and energy it takes to learn these crucial life-saving skills. I couldn’t help but think all parents should be this well-trained! Given the seriousness of their job ahead, the au pairs really appreciated the training they received as well. Arisa, a 24 year old au pair from Japan, remarked that “the child safety training will help me when I encounter trouble." Similarly, Nicole, a 22 year old au pair from England, said that she feels more confident knowing what to do in an emergency. Also in attendance was a representative from InterExchange’s International Cooperator in the Netherlands, Samantha Klerx. Samantha observed the entire Orientation and Training program and said it was "a great way to see what the orientation is about and get to see InterExchange’s standards in practice. The InterExchange team is professional, enthusiastic, and motivated and this is a great way to start the au pair year in the USA!" Au pairs practice what they have learned! The CPR certification trainings are led by Jason Mundy and Evan Meyerberg of Metro CPR. No class is too big for these guys. When needed, they add additional trainers to keep the student-trainer ratio low; each au pair receives individual help and attention. The training that I visited had a group of over 30 au pairs! Jason and his team forged ahead through the day with unflagging enthusiasm. 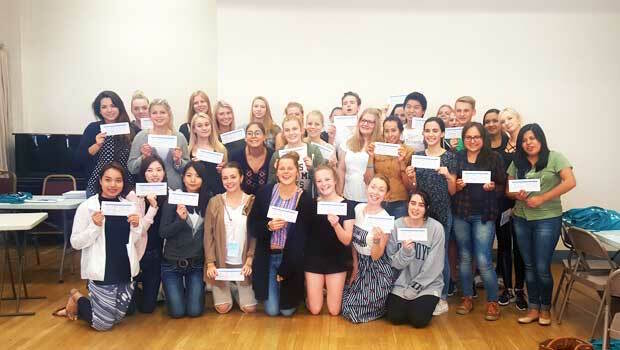 They went through the procedures thoroughly with each and every individual so everyone had the opportunity to apply the skills that they were learning, and they kept the au pairs energized and involved. Everyone at Metro CPR is truly focused on getting the job done right. Jason Mundy began working with InterExchange in 2016. Although he’s a recent addition, he’s made a lasting impression on our au pairs, who remarked that Jason is "cool", "funny", and "a great teacher". How long have you been doing CPR training? How long have you have been certified? I became an Emergency Medical Technician, or EMT, in 1997. I've been certified and teaching since then. As of last month, it will be 19 years teaching. How do you like working with InterExchange au pairs? This has been one of the best opportunities in my career so far. I am humbled and honored to work with InterExchange, and for them to entrust me to deliver a quality CPR First Aid and Safety class. The students are wonderful, and I learn about each of one of them in every class. At the start of each class, I find out where they're from and what part of the U.S. they’ll be headed to. Families should know that their au pairs receive the best training possible! What do you enjoy most about the CPR training? What I teach can literally be a matter of life or death. 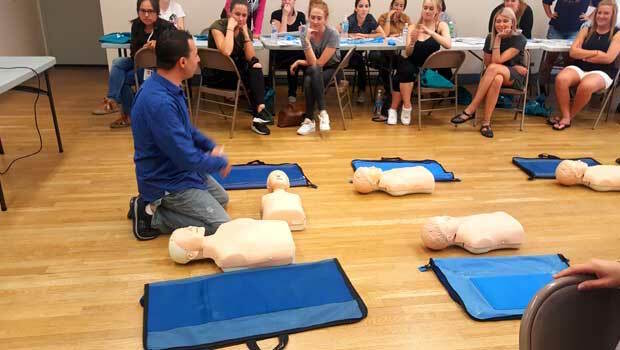 The more people trained in CPR, the better the chances are for everyone who may have a medical issue out in public or in their home. For more information about Jason Mundy and NY Metro CPR, take a look at the NY Metro CPR website or follow him on Instagram. 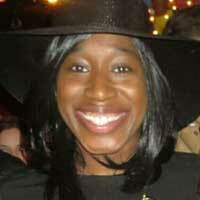 Tofunmi is pursuing her Masters degree in Global Communications, and has experience traveling and volunteering abroad. She worked for InterExchange's Work and Travel program for two summers as an Employer Relations Specialist, and then joined the Au Pair USA department as the Summer Program Assistant.